This program is designed to introduce students to and challenge them with learning exploration in the applied aspects of science, technology, engineering, arts and math while bolstering a variety of recreational and leisure activities that support scholarship and recreation. The strategic vision of the program is to orient, challenge and provide the students with opportunities to learn and explore the applied aspects of S.T.E.A.M. disciplines in a fun-filled, inspiring, engaging, hands-on and active learning environment. Some camp highlights include an introduction to modular robotics cubelets, engineering design process, circuit-building, exploration of polymers and application of the scientific method process. Swimming lessons are offered four times per week and recreational swimming twice per week at CA pools. 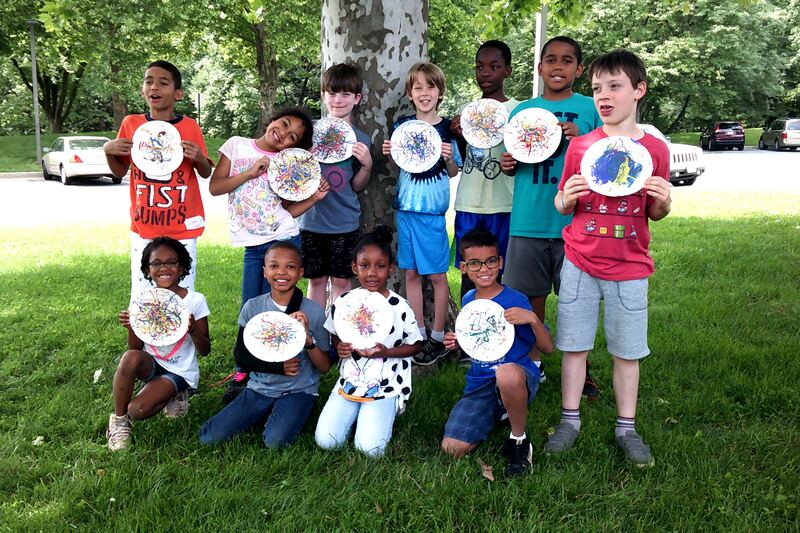 The biweekly S.T.E.A.M.-related off-site field trips may include NASA, Carrie Murray Nature Center and more, and also features a hands-on science workshop with the Science Guys of Baltimore. Campers will participate in a variety of structured mixed-media and performing arts activities. Camp will conclude with a parent showcase. Four separate two-week sessions – Click here to see a sample camp schedule.